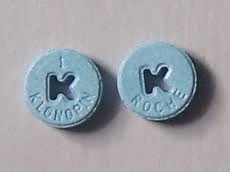 "Clonazepam" takes its name from a drug in the benzodiazepine class sold under the brand name "Klonopin." It is commonly used to treat seizure disorders, but is also indicated to treat panic disorder. In my experience as a physician, I have also seen it used off label to treat all kinds of other psychiatric problems, including Tourette Syndrome, as well as facial tics. Dunbar gives a nod to the sonnet form with the fourteen-line length of his poem, but arranges the stanzas unconventionally--the first stanza has five lines, and the remaining three have three lines each. Perhaps this unusual arrangement is being used to convey the message that a psychoactive drug can make a patient nearly normal, but there will still be some disjointedness and side effects. New Showcase Story: "Songs of Stone"
New Poem: "Extender Crew Roll Call"
New Poem: "General Order One"
New Poem: "The Two to Three Day Plan"
New Poem: "Nothing To Do"
New Poem: "TALCE Roll Call"
New Showcase Story Posted: "High Noon in Kirojo"
New Poem: "Operation Unified Assistance"
New Poem: "Little Bottles of Wine"
New Poem: "The Maze Belowdecks"
New Poem: "The Benefits of Being Barney"
New Poem: "The Essex and Abe"
New Poem: "The Origin of the Race of Golem"
New Poem: "Death and the Healer"
New Poem: "The Song of Maharal"